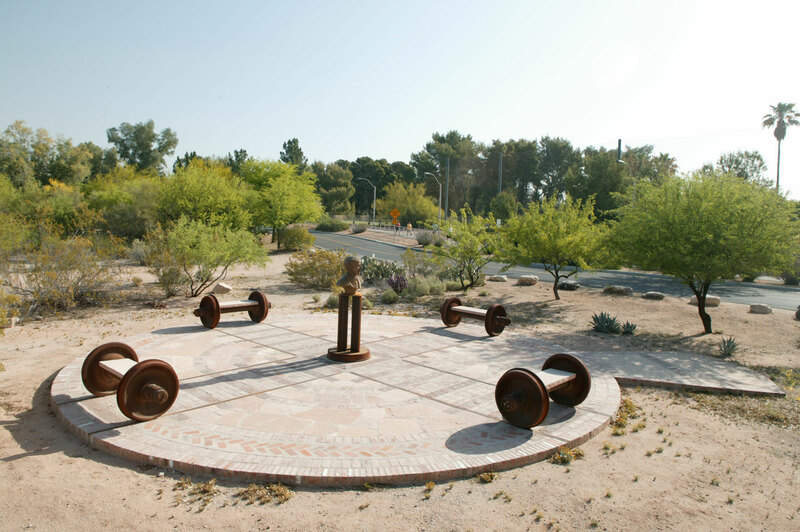 Project Goal: Provide a memorial to prominent Tucsonan, Epes Randolph. Location: Colonia Solana Neighborhood, Tucson, Arizona. 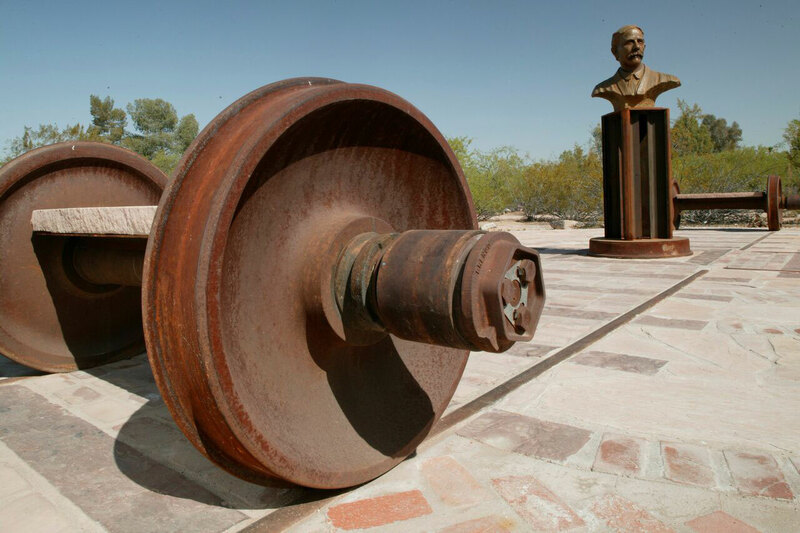 The Story: Epes Randolph had a long career with the railroads, and was instrumental in bringing the railroad to Tucson. 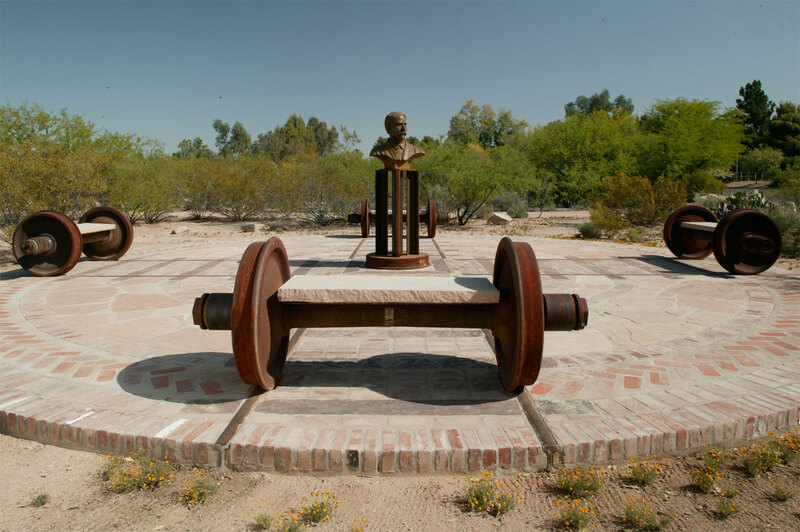 Nick Burke, artist, designed the bust of Epes Randolph through the Tucson/Pima Arts Council. Design Collaborations, Ltd. cooridinated with the artist, Homeowners associaton, City of Tucson Real Estate Department, Union Pacific Railroad, and the Colorado Rockies. Project completed June 2007. Particulars: Patterned brick, flagstone, and railroad rails form the 36' diameter plaza. Train wheels with flagstone slabs were designed as seating benches. 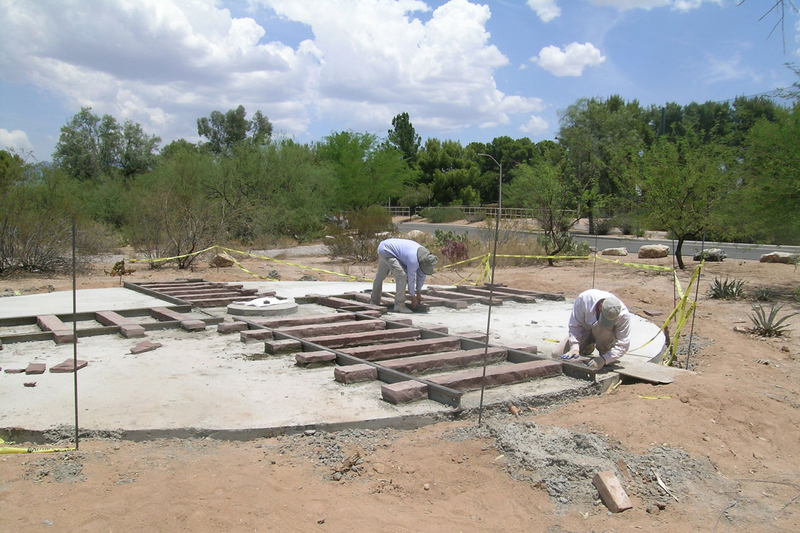 Planting around the plaza consists of mesquites supplied by on site water harvesting.